There’s nothing better than air conditioning to beat the summer heat, right? 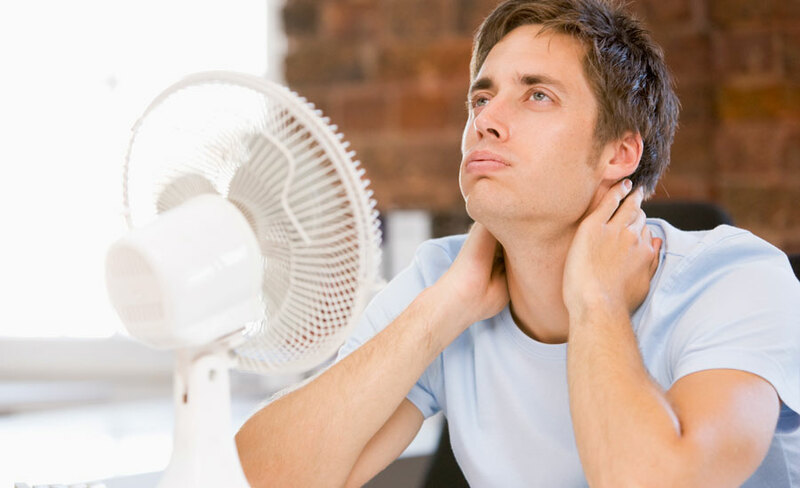 Air conditioning is one of the biggest culprits of your high energy costs, especially in the south. Estimates put our collective annual electric bill at about $200 per home, per household just to cool you down! And that’s in the North. In the south, it more than doubles, ballooning to $450. Factoring in every home in America that uses an air conditioner, that’s about $30 billion a year in energy costs! And it has its cost for the environment, too. At our current usage rates, we’re releasing the equivalent to a half-billion tons of carbon dioxide into the air every year. That’s about the same tonnage as 140 coal-fired power plants! The summer is sweltering, and it’s not exactly healthy for us to overheat, either. Air conditioning seems like a great solution on a hot day, but it’s an awful lot of energy to heat one room, just to cool down a couple of bodies. To help regulate your body temperature, stick to colder meals in the summertime. Everybody loves a barbecue, but running your stove at home or standing over a hot grill is just going to expose your body to more heat. Eating bigger meals also takes more energy and body heat, so take advantage of the summer months and eat light. Eating salads, wraps, fruits and veggies during the summer months can help cool you down internally, and not having to run the stove will keep the house nice and cool while you’re at it! Obviously, there are plenty of good reasons to drink more water in the summertime. You sweat more, which means you dehydrate faster, and when your skin is exposed to sunlight, it needs all the moisture it can get to stay healthy. But it’s not just about health. Did you ever notice when you eat a watermelon, you really feel refreshed? That’s because watermelon has a lot of water in it, and water is great for your body’s natural cooling processes. Like eating cold food, staying hydrated can actually lower your inner temperature. A lowered body temperature also means you use less energy overall, and stay cooler longer. 3. Loosen up… Your clothes, that is! We all love our silky sheets, but for the summer time, you’ll want to dress your bed nice, light, breathable cotton. Not just your bed, either. Dressing for the weather doesn’t just mean a bikini. Your beach bod isn’t just about looking great. It’s actually beneficial to wear less clothes. If you’re someone who’s more on the modest side, though, you can choose loose, breathable fabrics like 100% cotton, in light colors that won’t absorb the heat from the sun. Keep your feet bare whenever possible. Your feet carry a lot of pulse points, which makes them uniquely sensitive to temperature. It’s like in the winter, when you have cold feet, and your whole body feels cold. It’s painful when it’s cold out, but it can be a blessing in a sweltering summer heat. Everybody wants to open their window in the summer, for those fresh summer breezes. Nobody wants the critters to come inside with the breeze. Invest in a screen door and screens on the windows, so you can keep a breeze blowing around the house. A screened-in porch is great for summer night hangouts, and screens mean you can keep your windows closed during the hotter hours of the day, and open them up at night, when things cool down. Hot air rises. To beat the heat, you might want to pull a mattress pad to the floor when it gets bad. Another option is to hang out in the basement in the summer. If you’ve got a futon or sofa bed, use it. The basement is bound to be a few degrees cooler than the rest of the house, and since most of us have bedrooms on the second floor of a two-story home, you’re bound to notice the difference. If you switch to CFLs or LEDs instead of incandescent light bulbs, your home will generate 200 degrees less heat per bulb! They also use a lot less energy. Another great way to save energy and avoid heat, is to turn off all of your appliances at night. Even the stuff you’re not using can generate heat if it’s in sleep mode, so turn off or unplug everything you’re not using to cool down. Yes, that means your phone and tablet too! This takes my last point a bit further. Turning off the light can help keep your home cool in the summer. Even LED and CLF lights generate some heat, which usually stays trapped inside. Summer is a time for long days and short nights, so take advantage of the natural light while you can get it. You can even use light-colored curtains to block the sun’s rays from the window, and you should still be able to see just fine. Remember what I said about keeping your feet cool? Get yourself a good hot water bottle. Fill it up. Stick it in the freezer. Voila! You have a cold pack to stick in bed to keep your feet, and the rest of your body nice and cool! Other options are to get a small bucket and fill it with cold water, so you’ll have something to dunk your feet in, even when you’re out of the pool. There’s no denying our summers are getting hotter. No one loves the sticky summer nights. The climbing temperature can leave you tempted to hurry off to the nearest store and find the best window air conditioner money can buy. But that leaves us in a terrible catch-22: The temperature is climbing because of global warming. The air conditioners release tons of greenhouse gases into the air every year. What options do we have? As it turns out, plenty. As long as you’re willing to get creative and think outside the box, there are many ways to cool down your home, and even your own internal temperature, so you can keep cool without the added energy costs, and without sweating the cost to the environment.